Mark Roberts Fairies On-Line Store - All New 2019 Collection: The Look of Spring Bag 14 oz. The Look of Spring Bag 14 oz. 25% Off our regular price of $26 - Now $19.50. 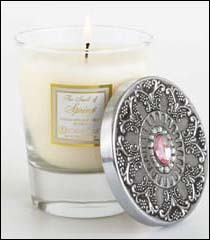 Decorative Fragrance from Aromatique is a potpourri of beautiful, real flowers, ferns, fruits, leaves and other natural items, infused with lovely natural scents to fill your home with fragrance. Just display in a glass bowl for a delightful visual and olfactory sensation! 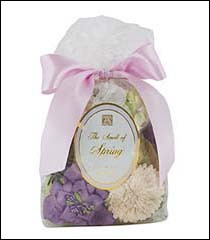 Spring is a beautiful Spring blossoms and fresh hyacinth fragrance. 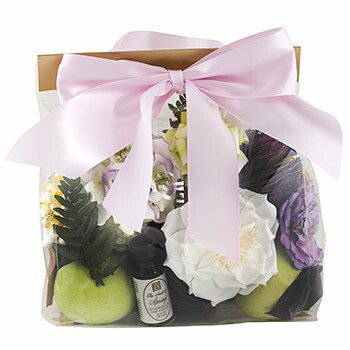 Lightly fragranced decorative bag, 14 oz. (397g); .5 fl. oz. (15ml) refresher oil.